Ft. Drum Storage Facility has brought on new expertise and named Melinda Justice as new Facility Manager in charge of Improving customer satisfaction. Local Watertown Storage Facility has brought on new expertise and named Melinda Justice as new Facility Manager in charge of Improving customer satisfaction, charting new CRM direction while organizing and executing the day to day facility operations of the largest self storage facility in Jefferson County. Former Storage Manager at a Facility in Texas, Melinda Justice takes new position as Facility Manager for Storage Made EZ. Full details can be found on the About Us section of the company website, http://storagemadeez.com. Improving customer satisfaction, handling core HR support, and charting a new facility direction while organizing and executing the day to day facility operations of the largest self storage facility in Jefferson County. Improving logistical coordination of vendors and suppliers that Storage Made EZ hires, from local HVAC contractors, plowing contractors, electricians etc she will supervise and hold them accountable to improve repair and maintenance time to completion. Inter office facility cooperation and internal organization. As facility manager Melinda will be in charge of overseeing unit inventory, repair and maintenance. Facility mechanical inventory and maintenance, facility and grounds upkeep and vendor logistics. The way vendors communicate is changing but has not made a full turn yet. Melinda’s experience and young age will give her an edge, being able to seamlessly interact with storage clients and vendors both in person and via digital media is a key component in driving rentals in the future. Reducing facility and unit down time. One of the biggest enemies to growth is not having inventory at the time a customer may need it. Melinda will be tasked with streamlining the inventory maintenance plan and optimizing the product offering mix in order to better serve storage customers needs. 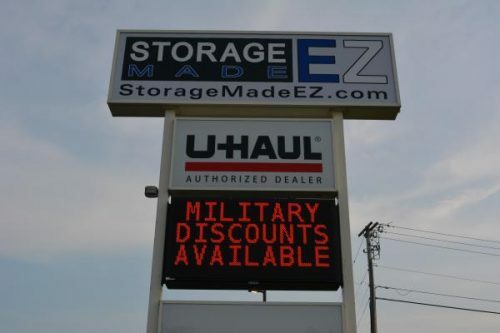 Customers and current employees are invited to send their messages of congratulations and welcome to the new Facility Manager via the website: http://storagemadeez.com.